This past week I’ve been on a strict diet by my naturopath (this will all be explained in my upcoming post). I can only eat cooked, steamed or roasted foods. Nothing raw, no more than 50 carbs a day etc. Needless to say, it’s been a difficult week in terms of always having to make sure everything is cooked/under the dietary restrictions she gave me. 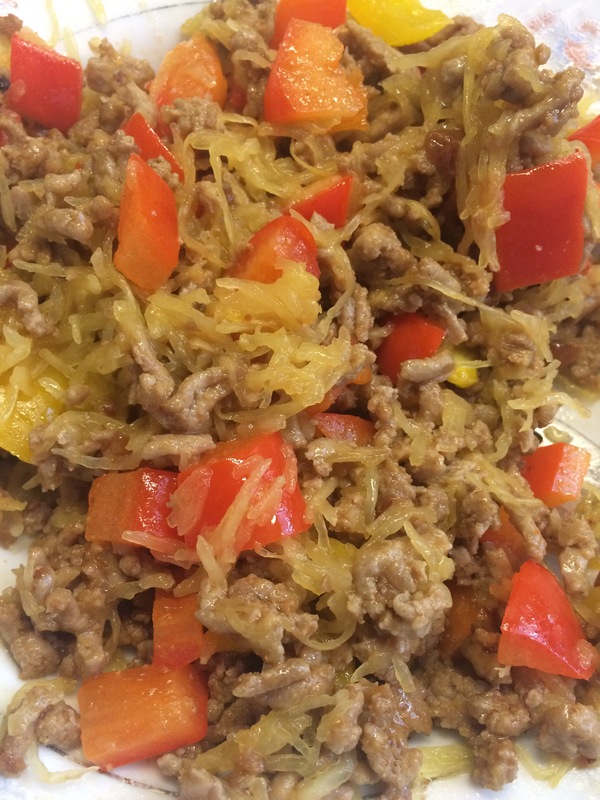 One of the lovely fitness inspirations I have, Amanda Bucci, is constantly showing us how she incorporates spaghetti squash into her meals. I always thought it would be a high carb root vegetable but boy, was I wrong! 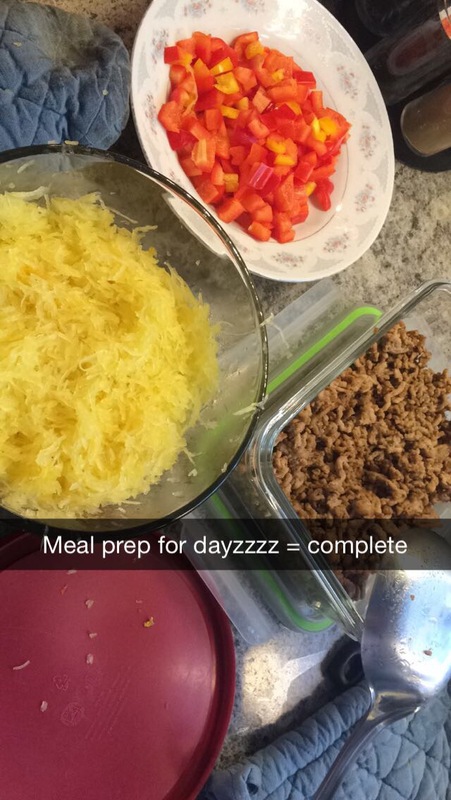 42 calories in ONE CUP worth of spaghetti squash with a total of around 7-10 carbs. 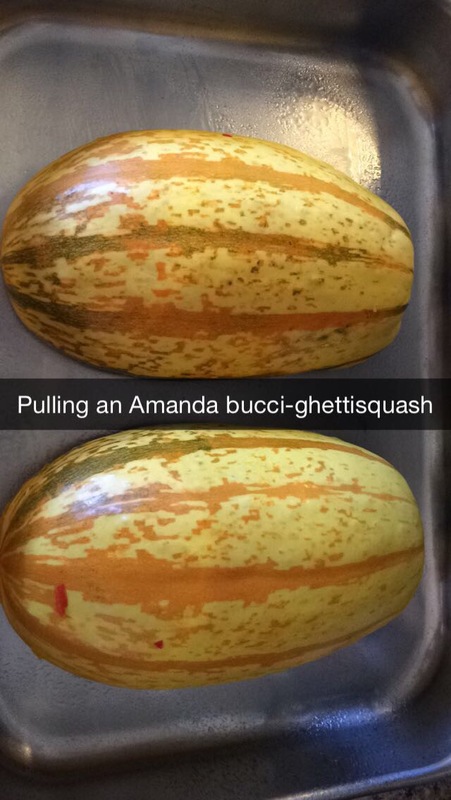 I sure love my pastas so when I found this out, I just HAD to go out and buy this wonderful squash. I didn’t actually remember to take a “professional” photo of this, so my snapchat savings will have to do for this time! I was pretty excited about making this for the first time. So excited that I will share with you my recipe! Nothing fancy shmancy, but delicious nonetheless! I cut the squash in half, took out all the seeds from the centre and then placed it face down in the oven at 350F for 10 mins (instructions from the sticker, which was actually a bit wrong… 400F would have been better). I then turned the squash over and turned the oven up to 400F and cooked it for another 15 mins. I could have probably done this for 20 instead of 15, but it still turned out fine. After those 35 mins, I then took a fork and “scraped” out the “spaghetti”. While the squash was cooking, I browned ground turkey and then added szechuan sauce (you can choose whatever sauce you want. I usually put in a piri-piri sauce from a local Portuguese shop I shop at but wanted to mix it up). After the squash was complete, I added in my own choice of serving size of each the squash, ground turkey and peppers to accommodate my macros. I added a touch of olive oil to the spaghetti squash before adding in the meat and peppers and then I microwaved it a bit to warm it up more since I let the foods cool. Next Post The First Cut is the Deepest.